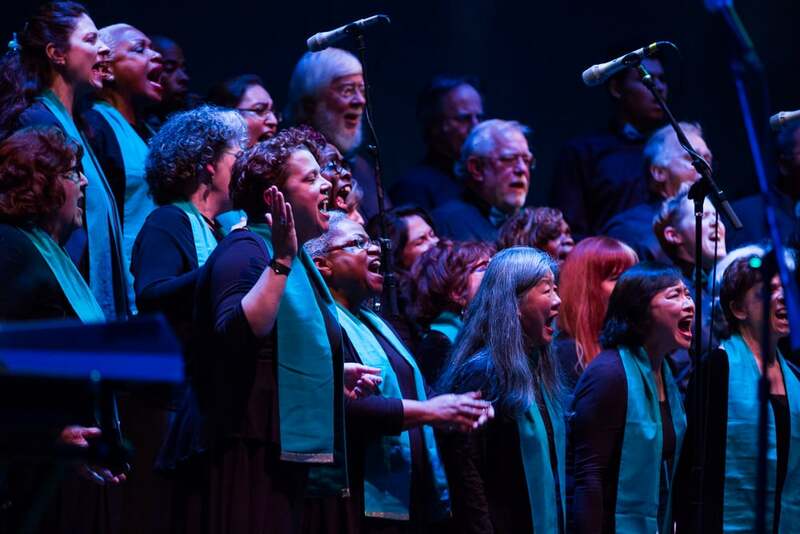 Founded in September of 2013, the Oakland Interfaith Community Choir now has over 160 members. OICC was started to fill a need in the community for a low-commitment, high-energy group that follows the same mission as its parent choir: to inspire joy and unity among all people through black gospel and spiritual music. 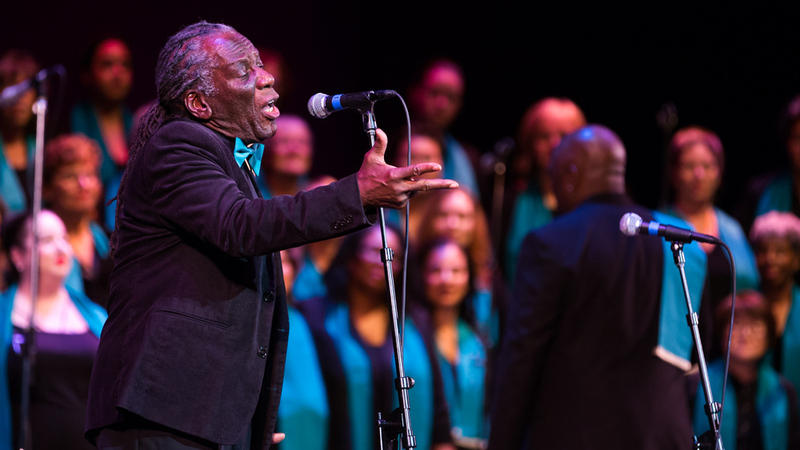 Last year, OICC sold out their annual Summer Gospel Concert at the First Congregational Church in Oakland and performed at the 3rd Annual SF SingFest, presented by the Chromatic Community Music Center. Interested in joining the Community Choir? OICC rehearses once a month and will perform about four times in 2019. The first rehearsal of the spring season is Jan 12, 2019, at 3:00 PM. If you would like to join the choir, you are welcome to attend this rehearsal. Please arrive at 2:30 PM for registration if you are new to OICC. There are no auditions, but members are required to pay a monthly administration fee to support the infrastructure of the choir. We accepted new members for the 2019 spring season in January and February. If you couldn’t make it by February 9th, you are welcome to join us again in September. Nope — OICC is a non-auditioned choir. Just show up and make a joyful noise! How often and where does OICC rehearse? OICC rehearses one or two times per month at Imani Community Church (3300 MacArthur Blvd) in Oakland. Rehearsals are typically held on Saturdays from 3:00 to 5:00 p.m. Please arrive at 2:30. There is a monthly administration fee of $30 to be in OICC. We ask that you commit to the full season (January–July or September–December). The choir rarely reads music; most songs are taught by ear. Bring a recording device or your phone to record the songs and practice between rehearsals. Also bring a notepad to write down lyrics. Singers also bring water to drink during rehearsals. * dates subject to change. Be sure to sign up for our email lists or follow us on social media to receive rehearsal and audition news and updates. ** Please note: your registration is not complete until you attend a rehearsal and complete a new member info card.